02.06.2016 (Hvino News). 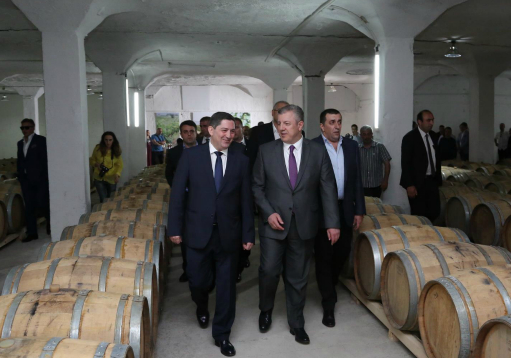 "We consider that Georgian wine industry will give new development impetus to rural Georgia", - Prime Minister Giorgi Kvirikashvili said after the opening ceremony of renovated wine and spirits factory in Gurjaani, Kakheti region. It is a joint project of wine and spirits production company, Bolero & Company, and formerly state-owned winery Gruzvinprom ▼Map , one of largest in Georgia's wine industry. In 2015, 100% shares of state-owned Gruzvinprom were sold to Mamuka Photolashvili for 31 million GEL at an auction, nearly tripling the starting offer (read also: State-owned Gruzvinprom winery auctioned for 31 million.) Mr. Photolashvili is 100%- shareholder of the Bolero & Company. "Privatization of the largest enterprise is an important event. The government has also allocated funds for the diversification of markets. 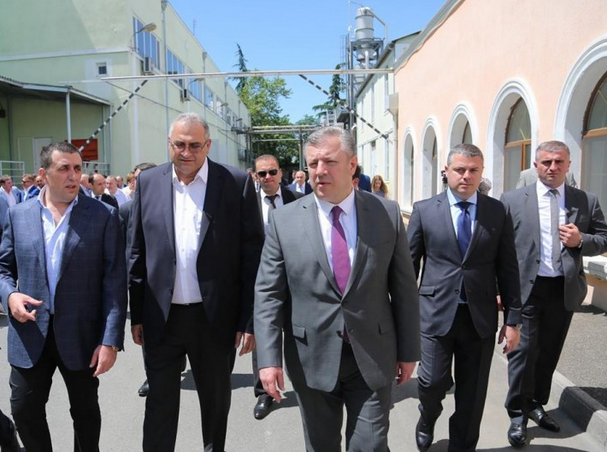 This will increase the number of wealthy households and provide additional income to the families affiliated with the factory as well as those living in Kakheti and throughout Georgia", - noted the Prime Minister, - "Establishment of the factory is a wonderful fact and a precondition for a new success". "In recent years we have achieved big success. In the last three years new vineyards have been planted on more than 6,000 ha of territory. … During the past three years Georgian families living in Kakheti, Racha-Lechkhumi and other regions of the country have received more than 400 million GEL from winemaking,” Giorgi Kvirikashvili added.